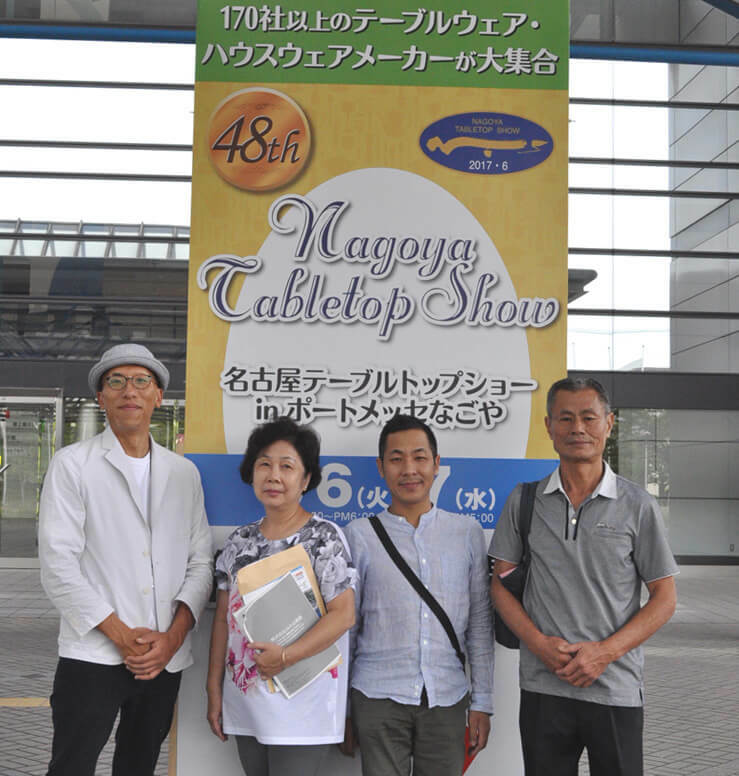 The other day, we went to the largest kitchenware exhibition in Japan held in Nagoya 「Nagoya Table Top Show 48th」 inviting the buyer from Taiwan together again. 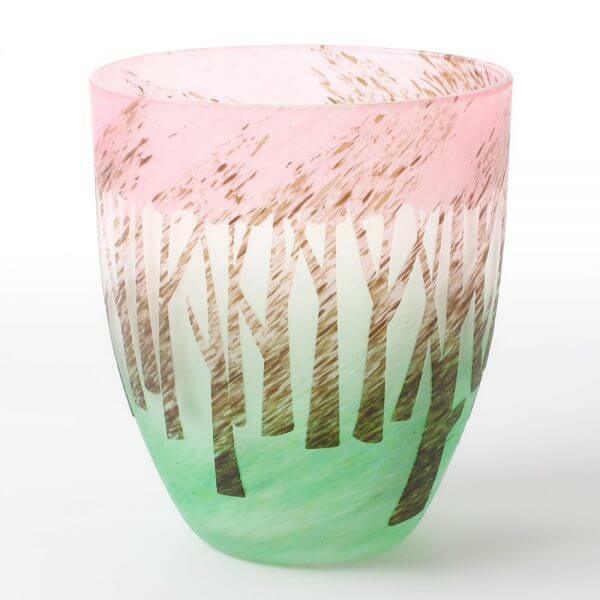 The last purchase was also published in the journal of the ceramic industry. 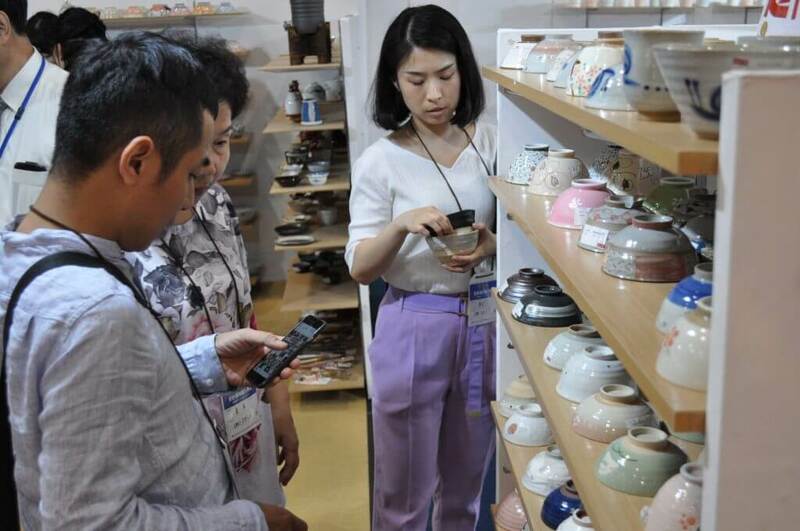 About 170 suppliers that handle such as interiors, accessories, ceramics, glassware, lacquerware, metal products, the other dishes will exhibit at the largest fair of the tableware industry! It has been held in January and June every year for more than 20 years since January 1994. In Taiwan, relatively small plates are popular among tourists coming from Hongkong and China. We mainly ordered small dishes, chopsticks and tea bowls at this time. We ordered about 3000 items from 14 suppliers! It seems that they could find a good products. 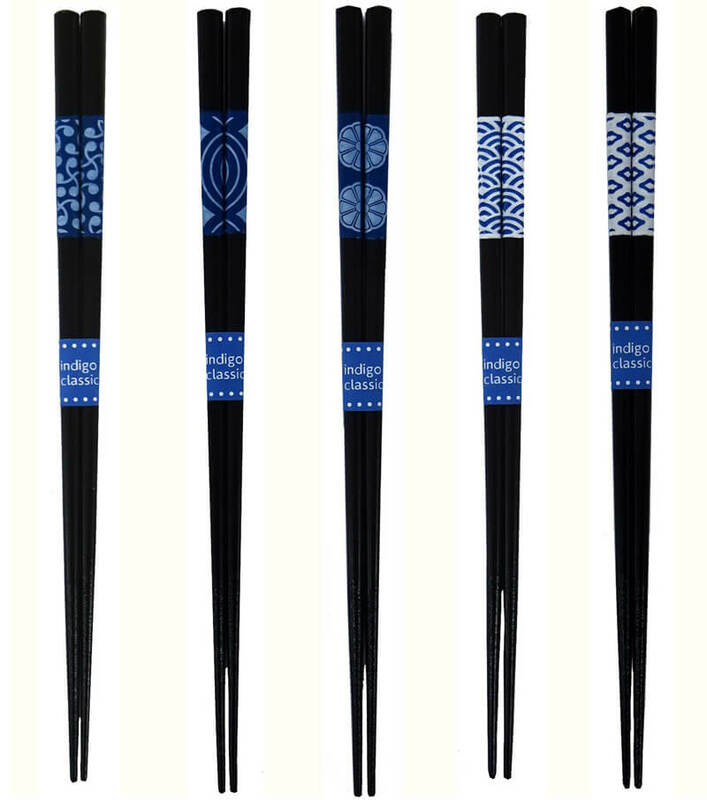 Since their establishment in 1964, they have continued to wholesale and sell Wakasa painted chopsticks, which is a traditional industry in Wakasa, Fukui Prefecture. Taking advantage of knowledge and experience on chopsticks cultivated over many years as a manufacturer specialized in coated chopsticks, they handle a wide range of products from traditional chopsticks to new ones using new technology and trend design. 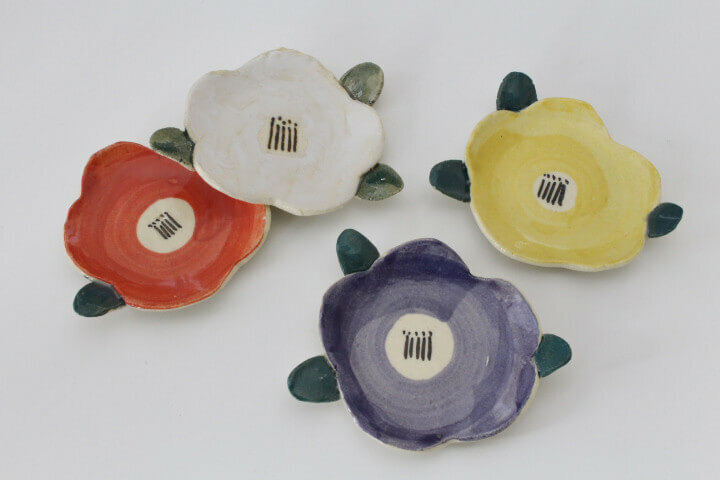 They mainly have strived to develop ceramics, aiming "Things directs scenes", "Scenes change our lives", "Enjoyable life make our lives rich". 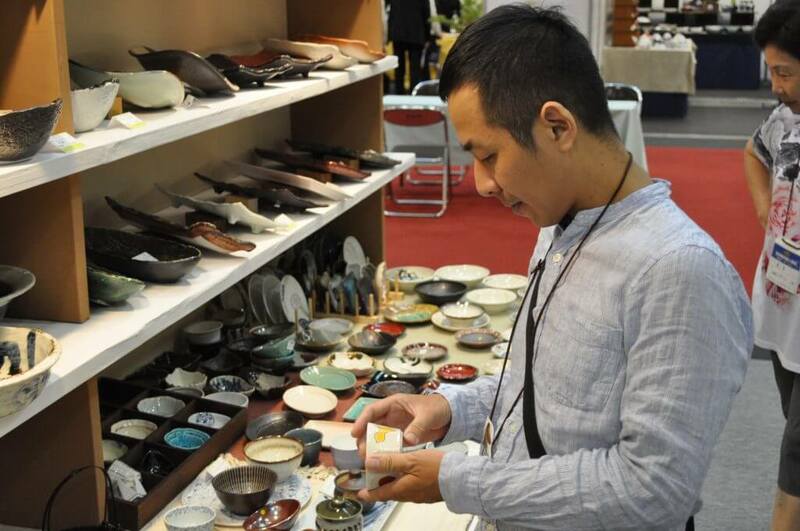 In Seto City, Aichi Prefecture, they have planned and developed mainly Japanese plates and ceramic miscellaneous goods, and supplied them as wholesale.They have constantly developed original products using new materials and designs adapted to the times, and making efforts to contribute to improving our living culture. They have manufactured over 100 years as a manufacturer of physicochemical glass such as measuring instruments, thermometers etc., since its establishment in Tokyo in 1905.They have produced glasses which can meet the needs of the times for lighting such as chandeliers and street lamps, for building materials, flower vases, dishes, interior & exterior. They are a manufacturer and supplier which originally started to manufacture and supply wooden business equipment and tools. 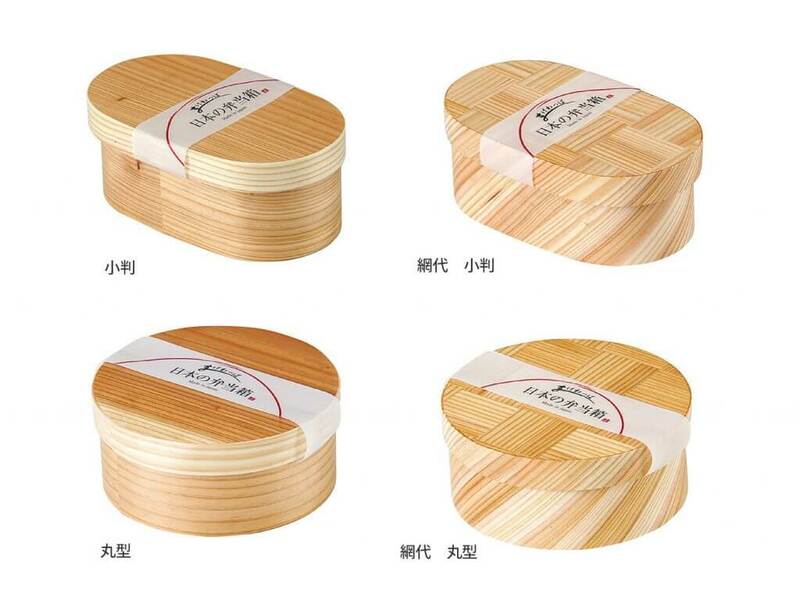 Now, they have developed original products such as mainly natural materials from the production area, Gifu Prefecture. 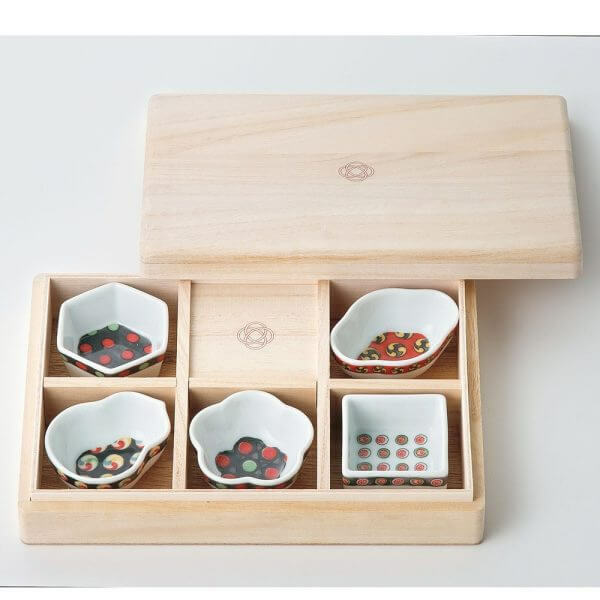 They have a wide range of categories including Japanese taste-centered living goods, original bags such as bags designed mountain grape and persimmon seed, kitchen ware, cooking utensils and equipment, and store fixtures and fittings furniture. 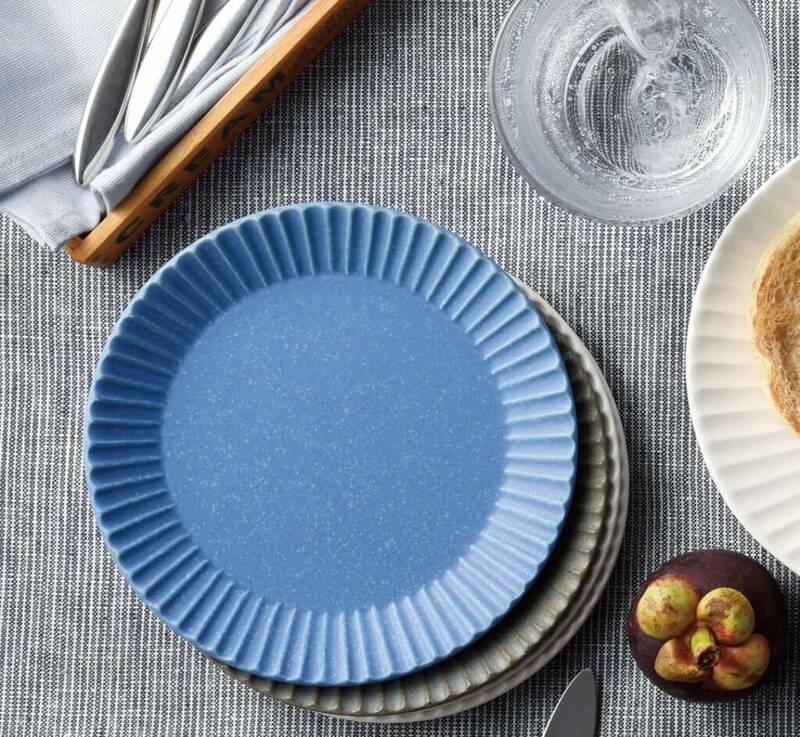 They have continued pursuing the Japanese style of food and lifestyle, the new design and values and possibilities of the Japanese who are in the transition of the times, pursuing the good old traditions of Minoyaki. 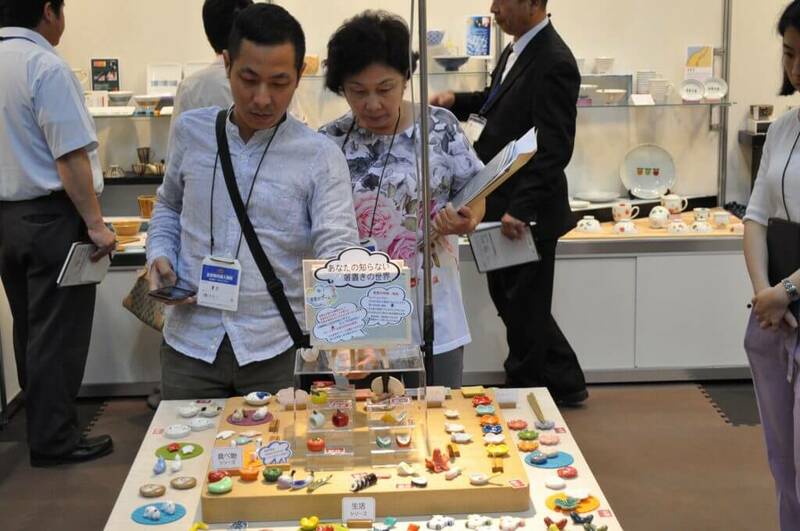 Maebata's mission is proceeding to promote the creation of devices which can suggest lifestyles as well as parts of the hardware and parts of software such as food culture and communication between people. 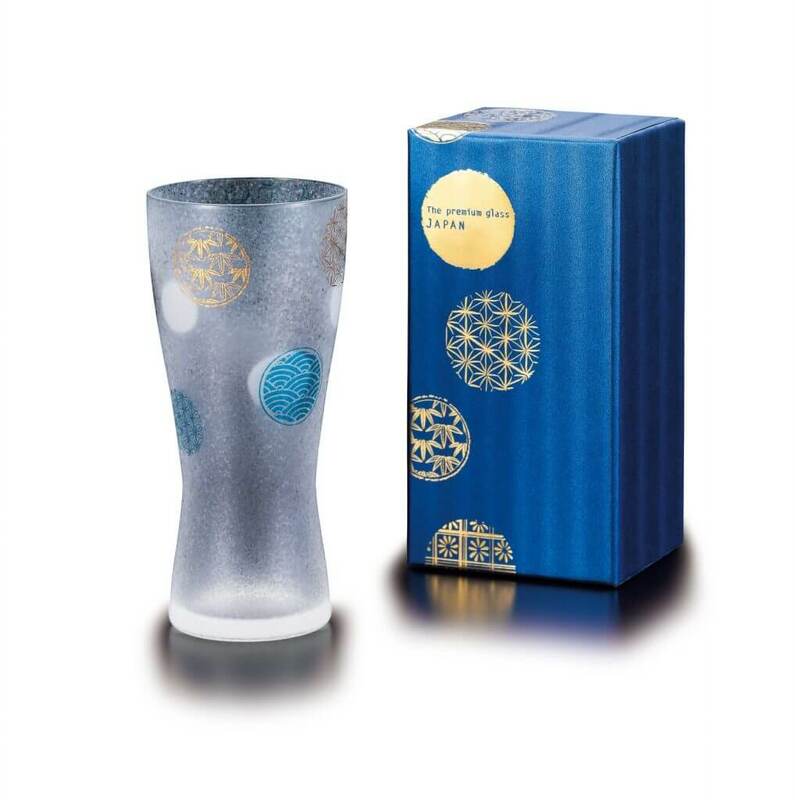 They are a manufacturer of glass tableware and glass interior products at thier own factory, which have purchased and sell from factories and glass manufacturers both in Japan and overseas in part of Ishizuka Glass Group. The suppliers I introduced in this article are small portion. 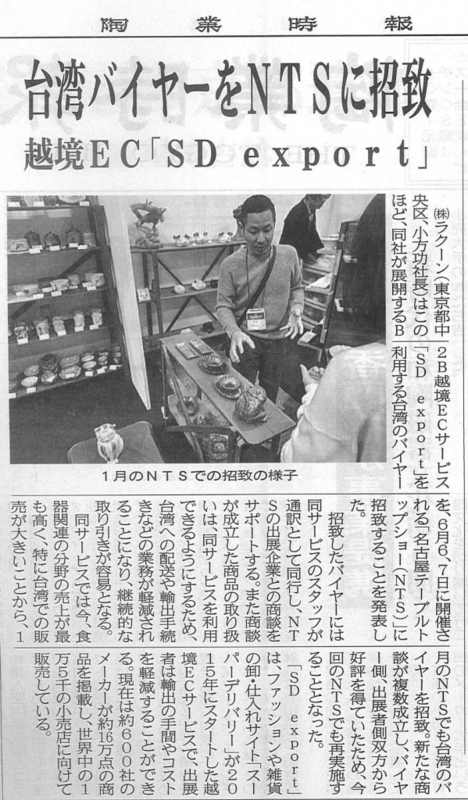 I think that you can find Japanese ceramic manufacturers which match your shop when you actually come to this exhibition. The next time, it will be held in January or February in 2018, so please come and check if you have the time to come to Japan!